Another 2 post kinda day, I’m telling you I have been hitting the New Recipe JACKPOT! I hardly ever have so many keepers. What a good problem to have. Hungry for Chinese food? 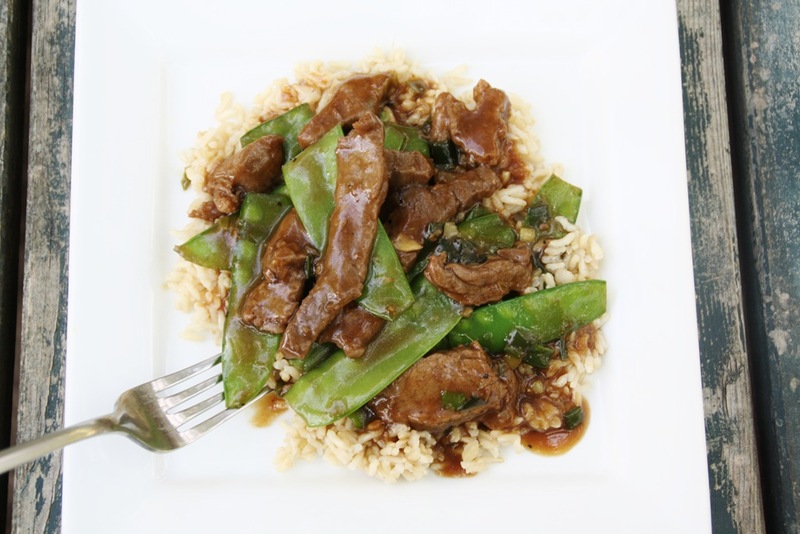 Skip Chinese take out…now you can make your own! In a medium bowl, combine soy sauce, brown sugar, cornstarch, ginger, black pepper, sesame oil, and red pepper flakes. Add steak strips to the marinade and toss to coat. In a large family skillet, heat 2 Tbsp oil over high heat. Add snow peas and cook 1-2 minutes. Remove from skillet and set aside. Heat 2 more Tbsp of oil. Add beef strips and green onion to skillet (squeeze steak strips out to leave as much of the marinade in the bowl as possible). Cook on one side 1 minute without disturbing. Flip and cook an additional 30 seconds to 1 minute until no longer pink. 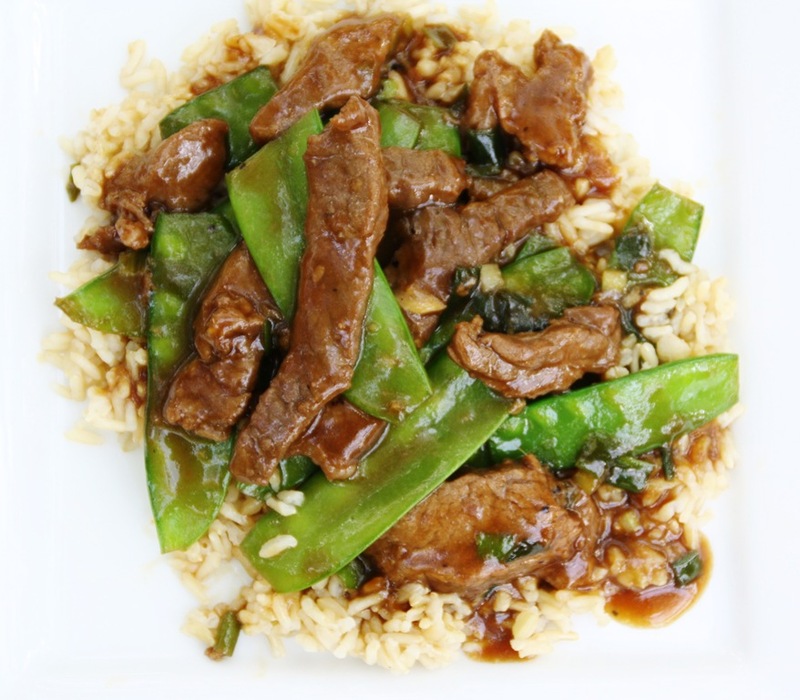 Remove from skillet and set aside with snow peas. Using the same skillet, pour in remaining marinade and add 5 Tbsp water. Allow marinade to come to boil until thickened. (get it nice and hot to kill any raw meat germs) Return peas and beef to skillet and toss with sauce. Serve over baked brown rice. YUMMY! I have always struggled with sticky rice, not matter how much I rinse the rice, watch the pot, carefully fluff with a fork….my rice is sticky. YUCK! But, that was before I found this recipe for Brown Rice that you bake in the oven. It turns out perfect everytime!!!!! YAY! Preheat oven to 350*. 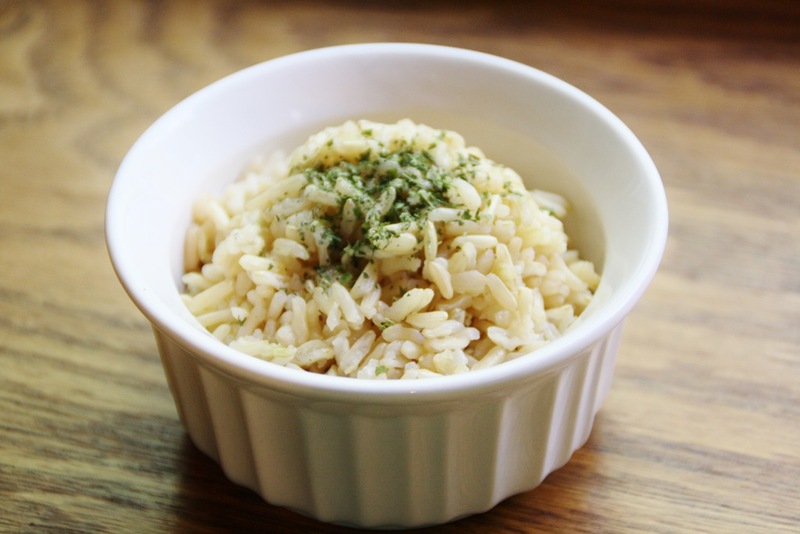 Combine brown rice, chicken broth, water and salt in a 8×11 baking dish and cover tightly with foil. Bake 1 hour and 10 minutes. Remove from oven and let sit 5 minutes before removing foil and fluffing with fork. P.S. Pop on over to This Chick Cooks today, she is featuring our Mexican Chicken Salad with Chili-lime Dressing. Thank you for sharing our recipe! I love stir fries especially on weeknights when I’m pressed for time and trying to get dinner on the table. Great recipe, thanks for sharing. NOW THIS LOOKS LIKE A WINNER! THANKS FOR SHARING AT WONKA WEDNESDAY! Looks wonderful! Where do you find Brown Basamati Rice? I’ve had trouble getting my hands on it. I get mine at Smith’s Market. You could do plain brown rice as well, just not quite as flavorful. What a wonderful meal. I just love all the wonderful flavors that come together to make this such a great recipe! Hope you are having a great week end and thanks so much for sharing with Full Plate Thursday. I found this recipe from gracefullmom.com on your guest post about making meals that can be made dairy free. My one year old has a dairy allergy but she is the only dairy free in the house and these recipes are great! We have made this one, I added sliced mushrooms and zucchini to the veggies… So yummy! Everyone gobbled it up! We also made the BBQ beef bundles. They were a huge hit! I can’t wait to try more recipes off the list. Thank u so much for these dairy free ideas for my family… From a mom that was in a dinner slump!